March 17, 2018 March 17, 2018 VAFHO - Victorian Association of Family History Organisations Inc.
Gippsland Local History Books is an informal collective dedicated to seeing that secondhand local history books move to the collections of people who really want them. The majority of those available at the Expo are from the collection of an elderly historian who has moved into care, and another from a phenomenal collector who is disposing of his duplicates – he needs the space. 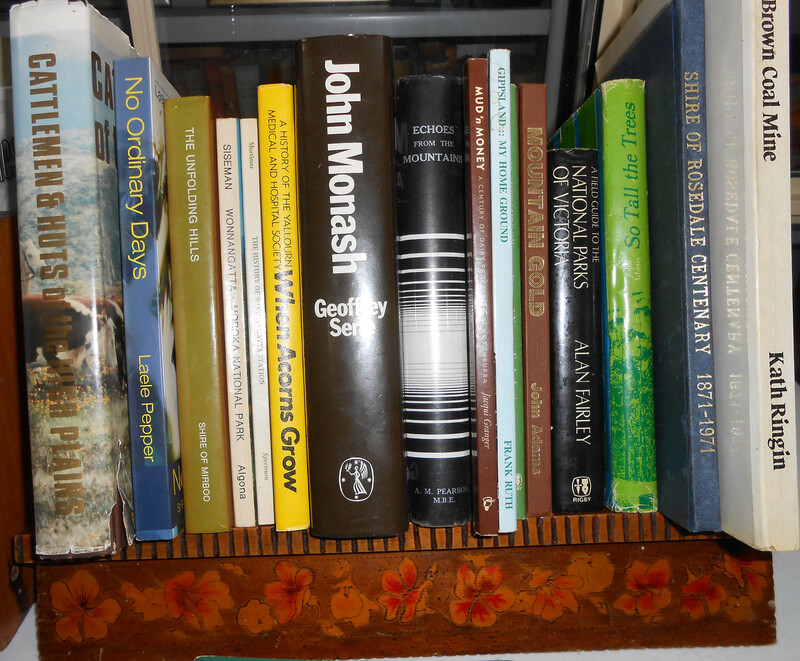 We are also moving some end of print runs of Journals on Gippsland history, and smaller lots from various sources. We will be putting Journals, facsimiles and guidebooks into the Goodies Bags. Not exactly the one you want? Come and check out our special section where you can swap for ones of your choice. We will also be representing these two Gippsland facebook groups. If you are a member, call by to pick up a ribbon so members who are at the Expo can catch up with each other. And sorry – we don’t do EFT – but many of our prices are so low, the small change in your purse is all you will need. Come and visit us at the VAFHO Family History Expo. Submitted by Linda Barraclough for Gippsland Local History Books and local Facebook pages: exhibitors at the VAFHO Family History Expo, Sale, 21 April 2018.